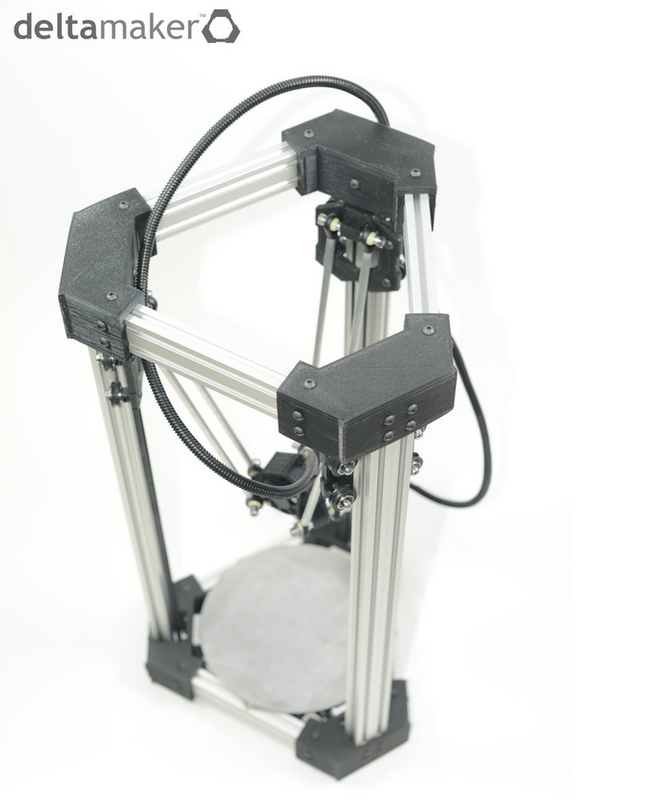 DeltaMaker™ is a consumer3D printer that uses DeltaBot technology (three robotic arms attached to a base). The DeltaMaker™ uses a print head attached to 3 sets of robotic arms to deposit the material. The printer is compact and can print objects up to a 10 L x 10 x W x 11 H inches with a 100 micron resolution. Due to the design, the printer can build outside of the print bed. The DeltaMaker™ comes assembled and uses free software called Repetier Host. First, the user creates a 3D model using 3D modeling software and saves it as an STL file. The file is sent to Repetier Host, the 3D printer’s interfacing software. Repetier Host slices the model into sections and determines how the layers are printed. The model is sent to the printer. ABS or PLA plastic extrudes through a print head which is attached to 3 sets of robotic arms that connect to 3 pillars that surround the build platform. This ensures that the build platform stays level. The print head prints the part layer by layer until the part is complete. The print head can be moved to any X, Y, and Z position on the build platform.